Home › About the IELTS Exam › IELTS Results › What is a good IELTS score? IELTS scores are used by a vast number of institutions and organizations to figure out whether or not your English is ‘good enough’ for eligibility—in immigration, admissions, hiring, etc. So what is a good IELTS score? If you are taking the IELTS for immigration, what constitutes a good IELTS score will depend on the kind of visa you need (e.g. work, business, for investors, for students, etc.). If you’re taking the IELTS as an international student, both the government and the institution may have a say about what IELTS results are acceptable. In this post, we’ll help you figure out whether you have a good IELTS score or an average IELTS score, explain what the IELTS scores mean, and which universities and countries will accept your IELTS results. 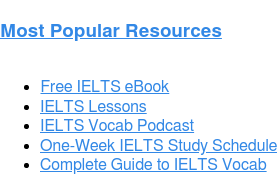 Click the links below to go to each section of our post on IELTS Scores. Bands for IELTS Scores: How Are they Calculated? How is the IELTS IDP Score Calculated? What do the IELTS Score Bands Mean? What’s a Good IELTS Score in Australia? What’s a Good IELTS Score in Canada? What’s a Good IELTS Score in New Zealand? What’s a Good IELTS Score in the UK? What’s a Good IELTS Score in the USA? According to the British Council, if you score a 9 on the exam, you’re an “expert” in English; if you score an 8, you’re “very good” at English; and so on. IELTS scores always range from 0 to 9 (“non-user” to “expert”). You can also get a score ending in .5, for example, 6.5, 7.5., 8.5. Each individual IELTS Skill (Listening, Reading, Writing, and Speaking) gets a band score in this range. You also get an overall band score for your whole test. This “composite” score is the average of your individual IELTS scores, and is meant to represent your overall English ability. You can find your baseline score with our free IELTS diagnostic tests for IELTS Listening, IELTS Speaking, IELTS Writing, and IELTS Reading. Before we take a look at “good” IELTS scores for different universities and countries, let’s quickly recap how the IELTS is scored in the first place. Learn all about IELTS band scores by watching the following video, or skip the video to read all about IELTS band descriptors. The IELTS has published band score descriptions for the test as a whole, for Speaking, and for Writing. Let’s take a closer look at each rubric. Click the image to go to the full table. Bands for IELTS: How are They Calculated? Those rubrics should give you a basic idea of how the bands of IELTS scores are calculated. But now, let’s look at the finer details. Let me explain how points are added up and converted into band scores. So you would think that calculating the raw-to-band score conversion would be easy. Right? Sadly, no. Based on official info from the makers of the IELTS, this score conversion is a bit tricky. For one thing, the percentage of answers that you get right will not be the same as the percentage of band points you get. For example, if you get 16 out of 40 questions correct in IELTS Listening, 40% of your answers are correct. However, you’ll get a band score of 5, which is 55.5% of the 9 possible band points. But it’s even more complicated than that. The conversion of raw points to bands is different for IELTS Academic Reading and IELTS General Training Reading. For instance, the makers of the IELTS indicate that 30/40 on Academic Reading is Band 7, while 30/40 in general training Reading earns a Band 6. Now here’s where it gets really confusing: the IELTS test makers’ official charts don’t even cover every Listening and Reading band. The official conversion chart only covers Bands 5-8 for IELTS Listening and IELTS Academic Reading. And the chart only covers bands 4-7 for IELTS General Training Reading. And there’s no mention of half bands. You can’t see the raw score for Bands 5.5, 6.5, etc… So it’s hard to tell exactly what you need in order to get a good IELTS score that’s not a whole number. For the official chart, go to the IELTS.org score conversion page and look at the second chart. Now, there are many unofficial charts that show score conversions for other bands. But be careful—all of the other IELTS score conversion tables are unofficial and may not match current IELTS scoring methods. They may or may not truly show you if you have a good IELTS score. My personal favorite unofficial chart is the one from Wikipedia’s article on the IELTS. It more or less matches the data from IELTS.org. And it is based on the unofficial online IELTS Band Score Calculator. Although this service is not sponsored by the makers of the test, I’ve found it’s pretty reliable. Many students of mine have also use this table to predict if they will get a good IELTS score. IELTS Writing and IELTS Speaking scores are based on Writing and Speaking rubrics. Trained IELTS scorers use the rubrics to directly calculate a band score; no raw scores are calculated beforehand. So, what are the exact rubrics IELTS scorers use? Well, those rubrics aren’t publicly available. But the standards for the rubrics aren’t exactly a secret. They’re based on the official IELTS Band Descriptions for IELTS Writing and IELTS Speaking. As I’ve mentioned before, your composite score for the whole test is the average of all four IELTS section band scores. In other words, your ability to get a good IELTS score on the whole test depends on your running average from each part of the test. The question then, is this: If your average IELTS score isn’t a whole band or half band, how do you round the number? According to IELTS.org, you round up to the nearest band if your average is X.25 or higher, and you round down to the nearest band if your average IELTS score is X.25 or lower. This rounds up to an IELTS band 6. Improve that score slightly with 7 + 7 + 7.5 + 7.5, and you get 29/4, which equals 7.25, which rounds up to IELTS Band 7.5. You get the idea. But if you want to see a few more examples, look at the first table in this IELTS.org score conversion article. A lot of Magoosh students have wondered if IDP IELTS scores are calculated differently than other IELTS scores. In a word, no. IDP Education is merely a third party organisation that administers the IELTS. They do not design or give a different version of the exam. Instead, it’s the same IELTS with the same scoring system, as described above. How can I find my own IELTS band scores? In order to find your approximate IELTS results, start by taking an IELTS practice test and scoring your results. 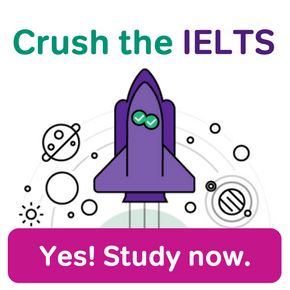 Not only will you learn which areas to focus on in your studies, you can find your approximate band scores and estimate your average IELTS score for the whole test. If you have less time available to predict your IELTS results, see our post Predicting Your IELTS Score. The Bigger Picture: What do the IELTS Score Bands Mean? Now you know how the IELTS Bands are calculated. But what do these bands mean? What do they say about your IELTS score, and whether you have an average IELTS score, a good IELTS score, or a bad one? Below is a table comparing IELTS scores with equivalent TOEFL scores. In the right-hand column, you can also see how IELTS bands compare to the English levels in the Common European Framework of Reference for Languages (CEFR). CEFR levels are often used for immigration. CEFR is also sometimes used for benchmarks in English education courses. CEFR levels start at A1 and A2 (basic English ability and high basic English ability). The next level up is B1 and B2 (independent and high independent English use). And the highest levels of English proficiency in CEFR are C1 and C2 (proficient English use and advanced proficient English use). For acceptance in 2018, Oxford requires an overall score of 7.0 for undergraduates, with at least 7.0 in each of the four components. So an above average IELTS score for a competitive edge would need to be at least 7.5 for applicants intending to start in 2018. However, significant changes to these requirements are coming in 2019. Those who wish to start studying at Oxford University in 2019 will have to submit to one of two IELTS requirements: “standard level” scores or “higher level” scores. Standard-level IELTS scores for oxford undergrads will be a 7.0 for the whole test with a minimum of 6.5 for each section. These standard IELTS scores are required for entry into the following undergraduate programs: Biomedical Sciences, Computer Science, Mathematics, Mathematics and Computer Science, Mathematics and Statistics. Starting in 2019, all other undergrad programs at Oxford will require higher level IELTS marks: a 7.5 on the whole exam, with a 7.0 in each component. For details on Oxford’s current and future undergraduate IELTS standards, See Oxford’s official page on undergraduate English language requirements. 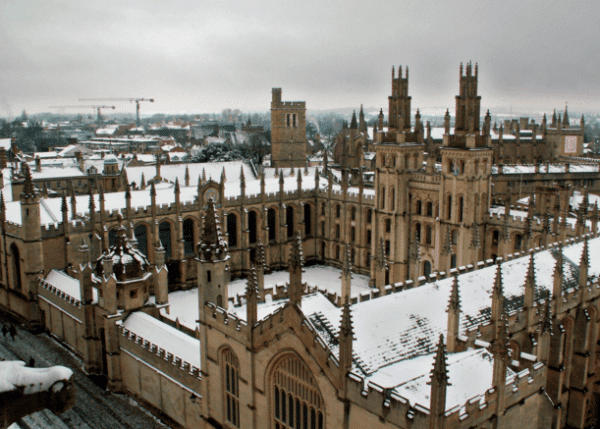 For graduate students applying to Oxford, the “standard level” and “higher level” requirements that will apply to undergrad applicants next year are already in effect. To see which graduate degrees require standard level IELTS sores and which higher level scores, search Oxford’s graduate course catalog. 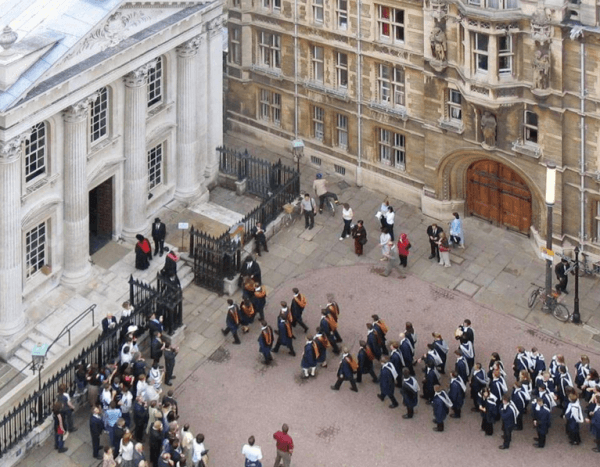 As of 201-2019, Cambridge requires an overall score of 7.5 for undergraduates. Across various undergrad programs, on average, your IELTS results usually must also be 7.0 or above in each element. Graduate-level students can check their department-specific requirements by contacting the program they want to apply to. 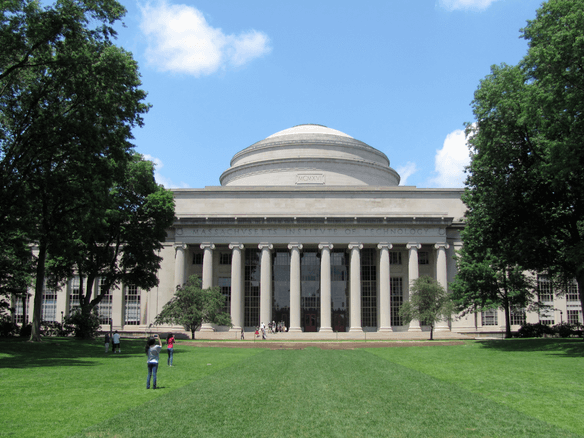 According to 2018 data, MIT does not accept IELTS scores at the undergraduate level; instead undergraduate applicants are asked to take the TOEFL. For graduate students, the current requirement is usually 7.0. With that said, some departments require a higher score or have a preferred average IELTS score—be sure to check the requirements listed on your department’s website. BONUS! Eligibility for migration into Australia is determined on a point system. If your English is proficient or superior, you will earn extra points (10 and 20, respectively) that strengthen your application. According to data the university published in late 2018, undergraduate and graduate applicants at the University of Sydney face different requirements, depending on the degree path that they apply for. Less demanding undergraduate degrees at Sydney require an IELTS score of at least 6.5, with at least a 6.0 in each category. 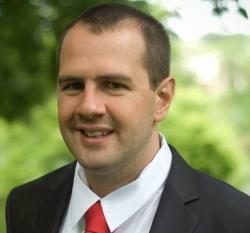 However, certain undergraduate and graduate programs require much higher IELTS results. For the 2018-2019 school year, the University of Melbourne recommends an average IELTS score of 7 for undergrad admissions. For graduate studies, IELTS requirements are different from department to department. Some of Melbourne’s graduate degree programs require an IELTS of 6.5, while others may require IELTS results of 7 or higher. According to recent data, the University of Adelaide’s requirements are dependent on level (i.e. graduate or undergraduate), department, and program. Some programs ask for an average IELTS score as little as a 6.0 and allow for band scores of 5.5 in Reading and Listening. Other programs, both graduate and undergraduate, have higher IELTS requirements. To find out what a good IELTS score is for you at Adelaide, you’ll need to look on the University of Adelaide’s website and do some research. In Canada, as in Australia, the requirements for IELTS section scores and the composite average IELTS score depends on the kind of visa you’re applying for. For example, on the Canadian government’s website, you’ll find that the skilled worker visa has different requirements for each applicant type. The IELTS scores here are listed in CLB (Canadian Language Benchmark) which is used to represent English and French language skills throughout the country. You must use a calculator tool to convert your IELTS scores for immigration requirements. University of Alberta: According to Alberta’s data for the 2018-2019 school year, successful applicants need an IELTS of 6.5 with a minimum of 5.5 in any individual section of the test. Recent data indicates that grad students also need to have a 6.5, although they can have as little as a 5.0 in an individual IELTS section. Queen’s University: As of 2018, Queen’s University states that undergraduate students should have a minimum overall score of 6.5 on the IELTS (with at least a 6.0 in each of the four exam sections). Queen’s also indicates that graduate students need a minimum of whole-test score of 7.0 on the IELTS. In New Zealand, individual schools decide if an IELTS score is good enough. And the IELTS results required for work visas depend on the kind of work that’s being offered. For an example of individual university requirmements, per 2018 data, the University of Auckland requires at least a 6.0 IELTS score for undergraduate admission (with a minimum of 5.5 for each category) and an overall 6.5 for post-graduate work (with a minimum of 6.0 in each category). Note that this is the minimum, and that many undergraduate and graduate programs in Auckland have higher requirements. An immigration official may verify that you meet the requirements when processing your application for the work and/or student visa, but you’ll also want to carefully check any given program you’re interested in at the University of Auckland. To get more information on IELTS score requirements for Investors, Entrepreneurs, Parents, other types of immigration visas for New Zealand, search the New Zealand government’s official immigration website. For work visas, the requirements are based on the tier you’re applying for and how long you’ll be staying. These are quite varied, but in tiers 1 and 2, for example, those requesting permission to stay must demonstrate a B1 or B2 minimum, respectively. These requirements are described in the format of the Council of Europe’s Common European Framework (A1 – C2). See IELTS equivalents here, or in the first chart in this article. Schools and other organizations can “sponsor” your immigration, and it would be up to them to determine acceptable IELTS scores. University of Birmingham: According to this university’s recently published standards, a good IELTS score can be quite different, depending on the undergrad or grad program. The easiest programs to get into require just a 6.0, with at least a 5.5 in any individual IELTS section. In contrast, Birmingham’s most competitive degree programs ask for a band 7 on the IELTS, and a 7.0 in each of the four IELTS sections. (It’s also possible to be conditionally accepted into some academic programs with just a 5.5 on the IELTS, and at least a 5.0 in each compoent. University of Westminster: Per this school’s posted 2018-2019 requirements for IELTS results, graduate students need a minimum of 6.5 overall, with no less than 5.5 for all bands; undergraduates should have a 6.0 or higher with at least 5.5 in each individual section. At the University of South California, PhD applicants must have a 7.0 average or higher (with no less than 6.0 in each category), while Master’s students should have a minimum overall score of 6.5 (and no less than 6.0 in each category). All undergraduate applicants must have a overall average of 7.0 or higher. For 2018 and beyond, UC Berkeley’s undergraduate students must have a minimum of 6.5 overall, while graduate students must have at least a 7.0 average. While New York University does not have any minimum IELTS requirements, they do require that you submit your English proficiency scores. In the information they’ve posted for the 2018-2019 school year, NYU notes that most international students admitted do not score less than the equivalent of a 7.5 overall average IELTS score. So, what does this all mean for you? Well, first it means you should find reliable, high-quality IELTS prep to help you along the way (hello, Magoosh!). If you’re planning to apply to top-ranked universities, you should likely strive to achieve at least a 7.0. But if you’re not applying to the world’s top schools, a “good” score will likely be lower for you. Be sure to check those requirements on each university’s website. If you’re still wondering about whether or not you’ve got a good IELTS score (rather than acceptable) learn more about what the band number means by the IELTS folks who’ve assigned them here: IELTS Scores: Understand How They Are Calculated and What They Mean. So what happens if you don’t meet the standards of your dream school? Or what if your IELTS results aren’t good enough for the job you want? What if the country you’re trying to immigrate to wants a higher score? When your IELTS score is unacceptable, what do you do next? You have a number of options. We’ll explore them below. Bad IELTS Score? Resit the test. However, this most obvious option may not be your only option for improving your IELTS results. In fact, it may not even be your best option. Let’s look at a few more possible courses of action. Talk to the uni you applied to. If your IELTS score falls short of your school’s requirements, there’s a chance that the uni you applied to may still accept you. School admissions offices are sometimes willing to be flexible about your IELTS scores. This is especially true if you have a strong professional or academic background. Apply to a different university with easier IELTS requirements. Even if your target school isn’t flexible on their IELTS requirement, there are many other schools out there. And IELTS requirements can actually vary a good deal at different schools. If your IELTS score gets rejected at one campus, it can’t hurt to look for other unis that find your score perfectly acceptable. A “bad” IELTS score may not be bad in the eyes of every admissions office. Consider an alternative to the IELTS, such as the TOEFL. Other exams may be available to you as well. A number of unis accept the Eiken, an English proficiency exam you can take in Japan. Many native Japanese speakers find the Eiken easier than the IELTS, especially since portions of the testing instruction are administered in Japanese. The TOEIC can sometimes be an option as well. And if you are taking the IELTS for work purposes, employers are often open to other Cambridge English certificates. Immigration IELTS requirements are harder to work around, compared to university regulations. The law is the law, right? So if you don’t have a good IELTS score by immigration standards, shouldn’t you simply resit the exam? Well…maybe. But even with immigration and work visas, if your IELTS score is a little too low, you may have a few different options. Maybe you don’t have the IELTS score the exact visa you wanted. But you could still have a chance at a different visa class, one with lower IELTS results requirements. To give one example of this, New Zealand requires an IELTS of 6.5 for their Skilled Migrant Visa. Suppose you can’t quite reach that score, but you have a spouse that can get a 6.5. In that case, your spouse could apply for a skilled migrant visa, and you could initially apply as your spouse’s dependent. That only requires an IELTS score of 5.0. Alternatively, you could possibly apply for a New Zealand Essential Skills Work Visa. This visa has flexible, varied IELTS requirements. It all depends on your skills and the job offer you get. And that’s just one example of how New Zealand can be flexible on IELTS scores. There are other ways to score lower and still go to New Zealand. Other countries also have similarly varied IELTS requirements. You can find alternative IELTS visa requirements in any IELTS-accepting nation. I’ve already told you about alternative exams for university applications. Immigration offices also offer a few other English exams beyond the IELTS. Most famously, Australia recently began accepting the TOEFL for immigration. Similarly, most U.S. states will accept the TOEFL for medical professionals instead of the IELTS. In another North American example, Canadian immigration accepts either IELTS results or CELPIP results (Canadian English Language Proficiency Index Program) for skilled migration. Once more, these are just a few examples. If your IELTS score is a little low, always see if you can take a different exam. Often, you can! Keep working on your English. If you tested into IELTS Band 5, you almost certainly need better English for university study. And at Band 4 or below the average IELTS score, your English proficiency is likely too low for most immigration visas. If you scored in these lower IELTS Bands, you aren’t really ready for an IELTS retake. Moreover, you likely won’t find an alternate school or different test that works for you. In this case, you’ll really need to improve your English skills before you can move forward. So, we’ve talked about a lot of alternatives to resitting the IELTS. But what if that’s what you want to do, or need to do? If the IELTS is the only test for you, you have just one option: improve your IELTS score. As I mentioned above, sometimes the best way to improve your IELTS score is to work on your general English skills first. But there are many other things you can do to get yourself into a higher IELTS band. Below, I’ve made a list of the top 10 things you should do if you want to improve your IELTS score. Don’t just confine English study to an IELTS prep bubble. Even when you’re not in an IELTS practice session, you should look for ways to expose yourself to English. Read English websites, magazines, newspapers, and books. Watch English TV shows. Listen to English radio and podcasts. Talk to others in English, such as foreigners in your home country, or local people if you already live in an an English speaking community. Make sure you know everything about the test: timing, format, types of passages and audio tracks, the interview questions you’ll get in IELTS Speaking, the different IELTS Writing tasks, and so on. 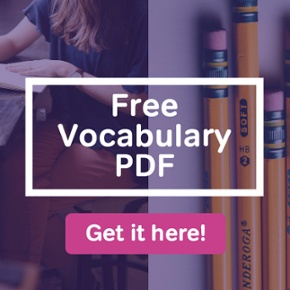 This free eBook is a good place to start. However, it always helps to find another person for feedback on your English speech and writing as you practice for the IELTS. This person could be a classmate, teacher, family member, or friend who you can share your diagnostic responses with. Just find someone whose judgement you trust. You can’t memorize every vocabulary word that might appear on the IELTS, but there are certain words you’re pretty likely to see. Those words are ones you should commit to memory. Perhaps the best official list of IELTS vocabulary is Cambridge’s Vocabulary for IELTS book. 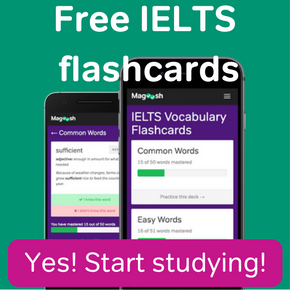 Other unofficial sources, such as IELTS Liz or Magoosh’s own IELTS vocabulary flashcards. For the most common IELTS vocabulary words, there are IELTS word lists. For everything else, there is “vocabulary in context.” This is the skill of guessing at or recognizing the meaning of words based on the language that surrounds them. 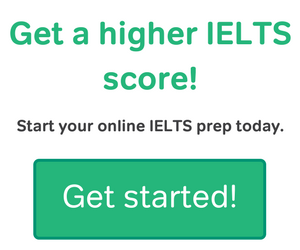 This is absolutely essential to improving and getting a truly good IELTS score. The English language has around a million words and you will always encounter some words on the IELTS that you don’t know. But the IELTS will always give you clues to the meaning of any important words. Learn to read and listen for these clues. Note-taking is very helpful on the IELTS… but only if done intelligently and in moderation. If you take notes too heavily in IELTS Listening, you may find you are so busy copying down what you hear that you don’t take the time to actually understand what you hear. Similarly, in IELTS Reading, there’s a fine line between brief helpful notes and overly-long, distracting notes. Keep your notes minimal; focus them only on the very most important key words and ideas. Prewriting is the act of making notes and an outline before you write or speak in English. On the IELTS, this is a valuable skill for both IELTS Speaking and IELTS Writing. In the IELTS Speaking interview, you’ll be given a “topic card.” After a minute of preparatory prewriting, you’ll give a short speech on the topic. And in IELTS Writing, making notes and an outline for each essay will greatly improve your essay score. 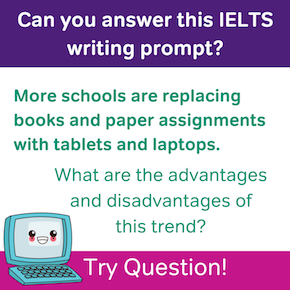 Insufficiently planned writing is the biggest reason that otherwise skilled IELTS test-takers get poor IELTS scores in the Writing section. The IELTS tests a language skill you may not have heard of before: visual literacy. Visual literacy is the ability to read informational graphics such as charts, tables, and diagrams. Charts, tables, and diagrams come up in IELTS Reading, Listening, and Writing. Take some time to practice reading these kinds of infographics in English and familiarize yourself with IELTS visual literacy tasks. While the IELTS is a measure of your English language ability, it’s also a standardized test. That means you should focus on test-specific skills as well as language skills during your IELTS prep. Keep track of your pacing and develop techniques that help you finish tasks within the testing time limit. Understand the different question types and the best ways to approach them. Know and anticipate the unique structure of the test. Then, for a top score, blend good English language ability with these testing skills. More often than not, if a student of mine gets a much lower score than they expected, the reasons are physical. They were too tired on test day. They got hungry and lightheaded during the exam. They had a cold or a fever. Do all that you can to be in top physical condition by test day. Rest well and eat well the day before the test and the morning of. And don’t worry too much about studying in the 24 hours before the test. One more day of study won’t make much of a difference. But being alert, healthy, and calm in the examination centre makes a huge difference. There are several ways to know if you have a good IELTS score (versus an average IELTS score or a bad one). Understanding the IELTS Bands and how they’re calculated is key. Make sure you also know what IELTS scores are required of you. And above all, be ready to improve your IELTS score—and your general English skills—if need be. Note: This post was most recently updated in April 2018. Thank you to Trisha Alcisto for contributing content! Also, all information on university IELTS score requirements comes directly from the school’s admissions web pages. Click the links within each paragraph to learn more about how each school handles IELTS results. Links and statistics will be updated as needed. 21 Responses to What is a good IELTS score? Hello, i recently got my ielts result. As i haad attain my Test on 19th August, i Secure Each bands 6 and obviously overall 6. As i had recenlty got my result, almost 70% in +2 level, so please could you tell me whether My test maarks are good or not?? Scoring Same each bands is good or not in comparison with other Bands? For the purposes of getting into university, a Band 6 in each section is a pretty good score. This will get you into many different universities overseas, although more competitive schools may want to see a band 6.5, or higher than a 6 in some of the individual sections. I recently received my ielts results and I had L-7.0, R-6.0, W-5.5, S- 7.0 and an overall score of 6.5. I was disappointed with the score for the writing though. Please do you think this is good enough for a graduate university admission? Thank you. I got the same score as you. Did you find any universities? The pasted text says that each subskill needs at least a 5.5, so a 4.5 anywhere would be a fail, unfortunately. That depends on what you’re using your score for. For most university degree programs, a 5.5 would be too low for acceptance, but there are some universities that would accept you at that level. An IELTS 5.5 would definitely qualify you form some jobs and immigration visas, but would also be too low for others. In short, to know if you passed or failed, you’ll need to check with the organization or organizations that are asking you for an IELTS score. I also tried TOEFL earlier, where my writing scored 29/30. Is it worthy to apply for inquiry of the test results for IELTS, regarding this fact or just stick to 8, which is already high enough to get into almost any ungergraduate programme. First of all, CONGRATS on such a great IELTS score! I know it’s frustrating to see a score that is lower than expected in the writing section, but you should consider whether the cost of a rescore is worth it. Generally, if you get your test re-scored it will increase your score by .5-1 points. If your score is already high enough for your target universities, then it might not be worth the cost and time for the retake. Most schools seek a minimum score to ensure that you have an appropriate English level, but higher scores will not necessarily give you any more competitive advantage. I recommend that you research the admission policies at your target scores to see if a rescore is worth it. I got L 6, S 7.5 R 7.5 and W 6. I would like to know if with this score I can cope with studying / working in USA or CANADA? Our expertise is test prep, not admissions advice, so I’m afraid I can’t really help you with any specific universities! It’s important to note that each university will set it’s own admissions requirements, so it’s important to do some research and find the requirements for your target schools! IELTS Requirements for Canada’s top Universities. You may have to do some of your own research to find score requirements for schools in the US. I recommend that you search the websites for your target schools to see what their requirements are! I initially planned it for Canada PR, but now with this low score i really don’t know what to do next. can anyone help on how to utilize the score best as possible please! Above all, though, I would advise posing this same question to a Canadian immigration forum, or asking an immigration consulting firm. I have a doubt, do you take the general test for the Canadian PR or Academic IELTS. Because a friend of mine was taking the general one for immigration. As far as I know, no university will accept the general scores. Do they? I agree with your perception. To my knowledge, no Canadian University accepts IELTS General Training scores. It’s possible, I suppose, that some individual university out there might accept GT for admissions. But unless you are applying to just one school, and you know for a fact that your school will take GT, you’ll want to submit IELTS Academic scores to get your student visa. Bear in mind that Canada Student Visa and Canada Permanent Residency are, legally speaking, two completely different things. PR is associated with employment and other non-school-related immigration statuses. For Canada PR, IELTS General Training is the test you’ll want to take in most cases. However, for a handful of medical professions (doctor, nurse, pharmacist, a few others), you’ll be asked for IELTS Academic. Are you referring to applying for school? 🙂 If so, it’s hard to say because there are so many different score requirements for different universities! Doing research into schools you’re interested in is the best way to find out if your scores are good enough for what you want. 🙂 If you’re interested in applying for Canada PR, then you can find more information here and here. Let us know if you were referring to something else!